Following our tradition of staying in on New Year’s Eve: 2014 adding fondue to the grilled steak tradition. Roasted mini potatoes, broccoli and cauliflower, salami, pear and gherkins. Oh, and good chewy bread, of course! :: We’ve misplaced the 2013 NYE photo of lobster risotto but that’s okay: we went to all the trouble of making seafood stock with lobster shells and stupidly added too much arborio: it was a starchy mess. We love the traditions of Christmastime. There are no surprises in our world: routine rules, and we couldn’t experience anything more joyous. 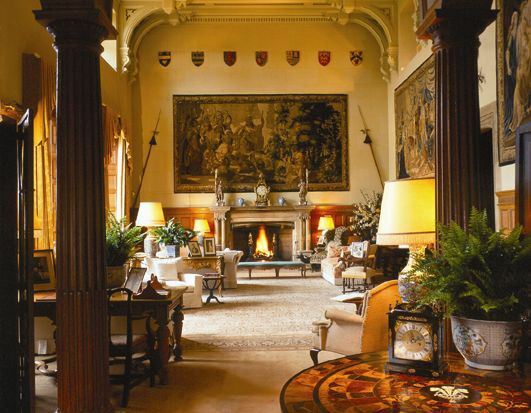 So we are rather fond of imagining the Royals’ Christmas traditions at Sandringham House. The pageantry of the timed arrivals, the Christmas Eve day tea, joke presents, followed by martinis, cider and other drinks in the saloon, a candlelit, three-course dinner, Christmas morning church, and back for lunch etc. 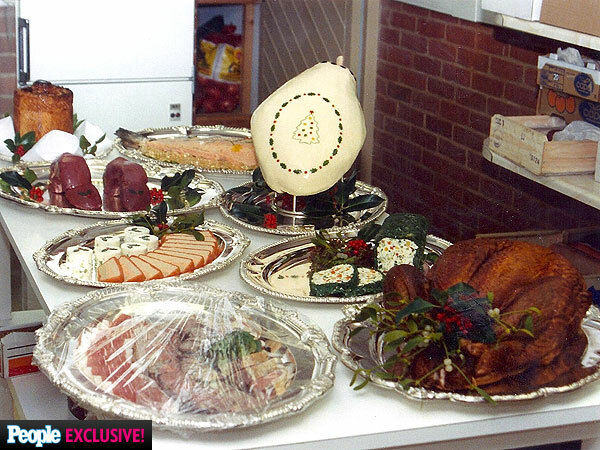 While our holiday sideboard is missing the boar’s head, chaudfroid ham, and raised pie presented on linen, we can at least dream up two fun Royal menu additions for our own holiday table. Line a 1lb loaf tin or pate terrine with plastic wrap, overlapping the sides. Take half of the smoked salmon and line the sides and bottom of the loaf tin. Overlap the top edge by about 2in so that the salmon will fold over and cover the filling once it is in place. Remove and discard the skin from the smoked trout, and then place the trout in a food processor and chop finely; add 1⁄2lb of the butter to the processor. Blend again until smooth and add the chopped dill and lemon juice. Carefully spread the trout mixture into the loaf tin on top of the smoked salmon and smooth the top. Place the loaf tin in the freezer for ten minutes while you prepare the second layer. Clean the food processor bowl. Remove and discard the skin from the mackerel, and place the mackerel into the food processor; chop finely. Add 1⁄2lb butter and blend until smooth. Take the loaf tin from the freezer, and spread the mackerel mixture smoothly on top of the trout layer without disturbing the trout layer. Place the loaf tin in the freezer for ten minutes while you prepare the third layer. Clean the food processor bowl once again and place the remaining smoked salmon into the food processor and chop finely. Add the remaining 1⁄2lb of butter and the chives to the processor, and blend again until smooth. Remove the loaf tin from the freezer, and spread the smoked salmon on top of the mackerel. Smooth the top. 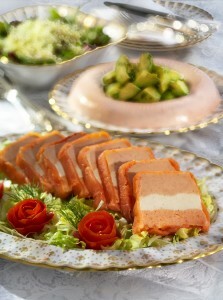 Fold the overlapping pieces of smoked salmon over the top layer of the salmon spread. Cover the top with plastic wrap, and refrigerate overnight, or for at least four hours, until firm. Remove the loaf tin from the refrigerator and lift off the top plastic wrap. Invert the terrine on to a cutting board and remove the loaf tin and additional plastic wrap. Slice the terrine into 1in slices. Serve on salad leaves as an appetizer or slice the terrine into fingers and serve on crackers as a canapé. Diana served this recipe to her guests while she ate a fat-free version. Lightly brush six small ramekins with the vegetable oil. Set aside. In a food processor, puree tomatoes with chopped onion. Strain the pulp into a bowl, pressing on the tomatoes to push as much as possible through the sieve into the bowl. In a separate bowl, combine mayonnaise, sour cream, heavy cream and tomato paste. Fold into the tomato/onion puree. Stir in a pinch of salt and pepper and the dill. Place the gelatin into a small saucepan, and moisten it with the juice of 1/2 of the lemon. If the lemon doesn’t have a lot of juice, you may need to add up to a tablespoon of water. Reserve remaining 1/2 lemon for the lobster vinaigrette. Melt the gelatin over very low heat until it dissolves. Let it cool a moment, and then pour the gelatin into the tomato mousse, mixing as you pour. Taste for salt and pepper. Pour the finished mixture into the ramekins and refrigerate for at least 1 hour. Just before serving, run a small knife around the edge of the mold, dip the ramekin into a bowl of hot water to soften the gelatin and turn out the mousse onto a plate. Toss the split lobster tails with the olive oil, remaining lemon juice, salt, pepper and chopped chives. Nestle the lobster on a bed of watercress next to the tomato mousse. Put the tomatoes and onions in a food processor and blend until they become somewhat soupy. Strain through a sieve into a large bowl. Discard the remaining seeds and skins. Whisk in the cream cheese, sour cream and tomato paste until there are no lumps. In a small saucepan, add gelatin, chicken broth and lemon juice. Stir until softened, and then warm the saucepan over low heat until the gelatin has dissolved. Whisk gelatin mixture into the tomato mixture, and season with the salt and pepper to taste. Fold in the dill, and pour the tomato mousse into six ramekins. Refrigerate until uncovered for at least 2 hours. Serve in the ramekins, or dip the ramekins in hot water, run a knife around the edge of the molds, and invert onto plates. We found the long sought after Tourtiere (Canadian Meat Pie). A random google search today led us here. 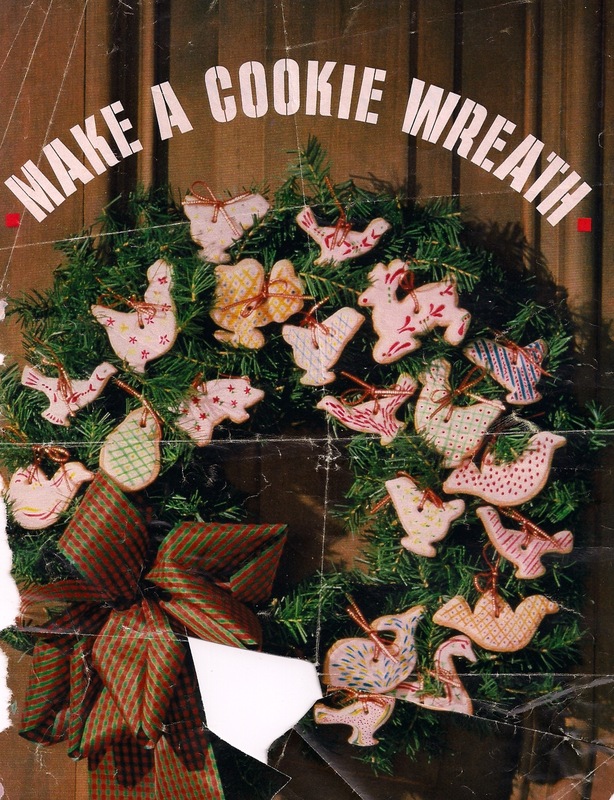 Here’s some seasonal 1980s Seventeen nostalgia for you: A cookie wreath. 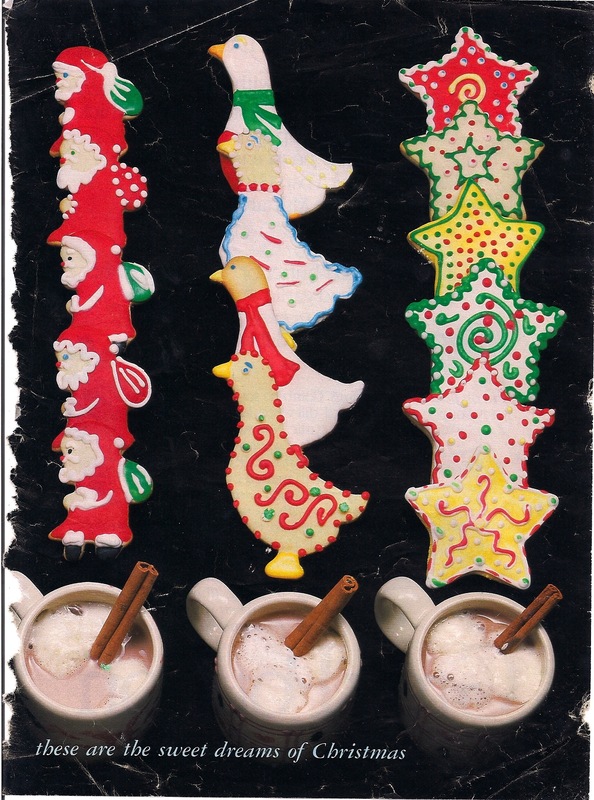 We don’t know what year this is from, but judging from the tell-tale collage cutout on the page, we’re guessing 1983. 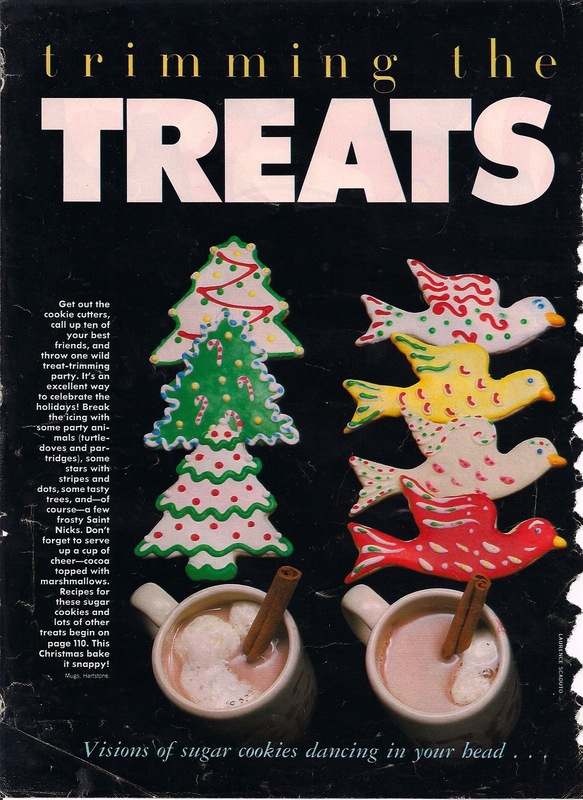 Do you have any ’80s Seventeen recipe pages to share? Let us know! 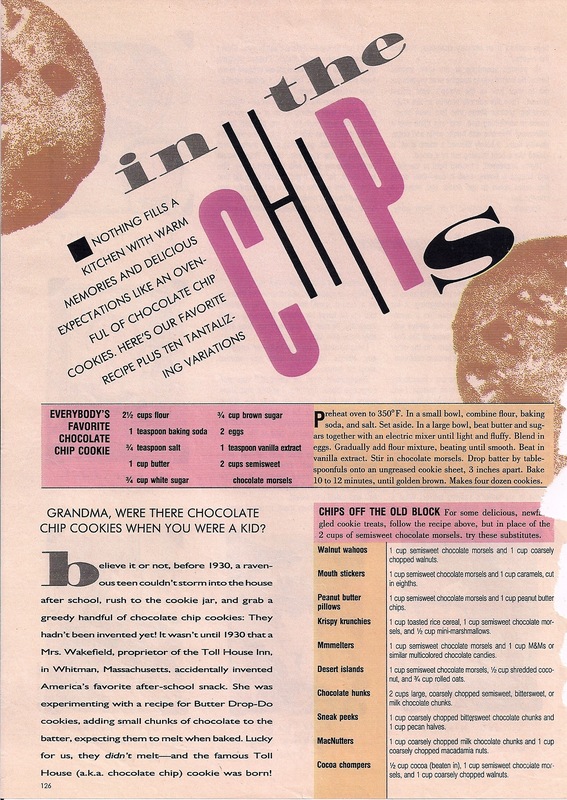 We looked, and we only have one chocolate chip cookie recipe page. Hope it’s the right one.